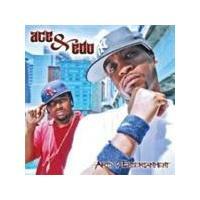 Masta Ace & Edo G - Arts And E.. Brand Name: THE ORCHARD Mfg#: 00015591 Shipping Weight: 0.20 lbs Manufacturer: Genre: Rap, Hip-Hop All music products are properly licensed and guaranteed authentic. Asked about what to expect from this collaboration with Edo G, MastaAce fires back without hesitation; "people are gonna be surprised whenthey hear the mixture of styles. We both have a different approach. It'slike the old Reeses commercial... Ya got peanut butter walking down thestreet. Coming from the other direction is chocolate. Someone trips andblam, a peanut butter cup was born. Something new and amazing wascreated that no one had ever thought of! "When one thinks of Boston and New York the first thing that comes tomind is the infamous Red Sox/Yankees rivalry. But this time whenBoston meets New York it's a collaborative effort to bring the world oneof the tightest Hip Hop efforts of 2009. Two of the games most exceptionallycreative and well-rounded artists, Edo. G and Masta Ace bringthe two cities together with Arts & Entertainment. Like their home cities,these artists have a long history and have influenced the world.Hailing from Brownsville, Brooklyn, Masta Ace got his proper introductionsetting off the quintessential Hip Hop posse cut, "The Symphony. "Not long after, Edo G's debut Life Of A Kid In The Ghetto and its leadsingle "I Got To Have It" went to the top of the Billboard Rap Singleschart with heavy rotation on Yo! MTV Raps. 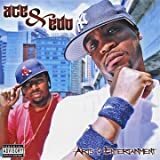 Both Ace and Ed havecontinued to stay relevant, tour the globe, and influence up and comingartists everywhere. 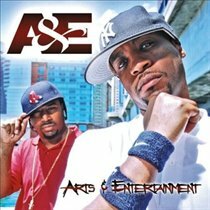 Joining the duo on Arts & Entertainment is a notable list of featured artists from NYC and the Bean including Posdanusof De La Soul, Large Professor, DJ Spinna, KRS-One, Mr. Lif,Akrobatik and Chester French. Production from Double O of Kidz inthe Hall, M Phases, DJ Supreme One amd Frank Dukes round outthis collabo from two mighty Hip Hop icons.